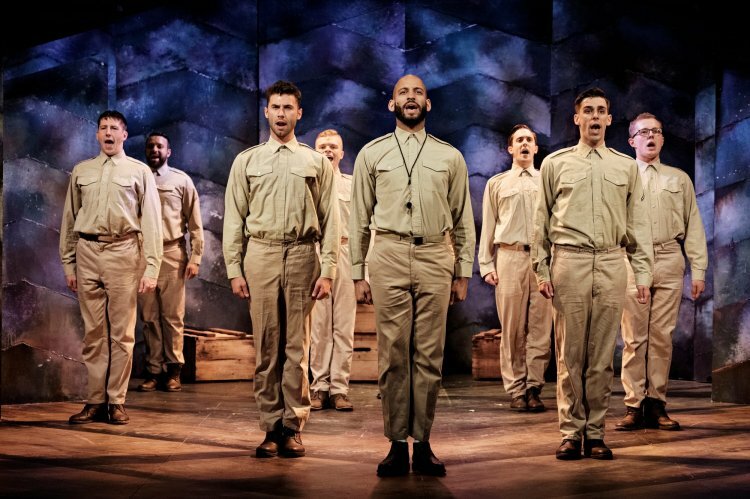 After premiering at Manchester’s Hope Mill Theatre earlier this year, in the midst of Pride, Yank tells the story of a poignant romance between two soldiers in World War 2. Joseph and David Zellnik’s production opened Off-Broadway in 2010 receiving 7 Drama Desk nominations including best musical and best score. Despite a strong rise in LGBT theatre, this particular production is special. Not only is it the true story of two brave soldiers who were desperate to love freely, but it is set in the style of an MGM musical. With strong musical theatre numbers, tap dance and more, it proves that the big flashy musicals can have a central romance of whatever gender. It’s a serious subject interjected with a lot of heart, humour and of course toe-tapping numbers. Opening the show we are met with Scott Hunter, the young actor who takes on the main role of Stu, a young man enlisted to fight in the war. He is timid, naive and just wants to be liked by his fellow soldiers, however he feels incredibly different and totally left out. This spurs his friendship with confident Mitch, played by Andy Coxon, who not only befriends Stu but makes him feel more comfortable and gets him involved with the squad. Scott Hunter’s reprisal of the role of Stu is exceptional. Not only has he completely mastered the shy character bursting with ambition, but he handles the tenderness of the emotion beautifully. Despite his attempts to be hopeful, when the world, and particularly the army are against his endeavour to love, his character falls weak and Hunter displays this tremendously through his touching and emotive characterisation. Andy Coxon has taken on the role of Mitch and is fresh to the production, but fits in superbly. Mitch’s charming nature and kind soul portrayed brilliantly by Coxon, and his friendship with Stu that then transpires into love is utterly convincing and completely engaging, allowing the whole audience to really feel invested in their relationship. Outside of the delicate story line are a squad of soldiers that bring an abundance of personality and style to the piece. Kris Marc-Joseph is charismatic as Czechowski, Benjamin Cupit bring comedy to the performance as Professor and Lee Dillon-Stuart’s depiction of tough and rather aggressive soldier Tennessee is thrilling to watch. They work together as an ensemble so naturally and their distinct personalities really shine in the number Your Squad Is Your Squad. 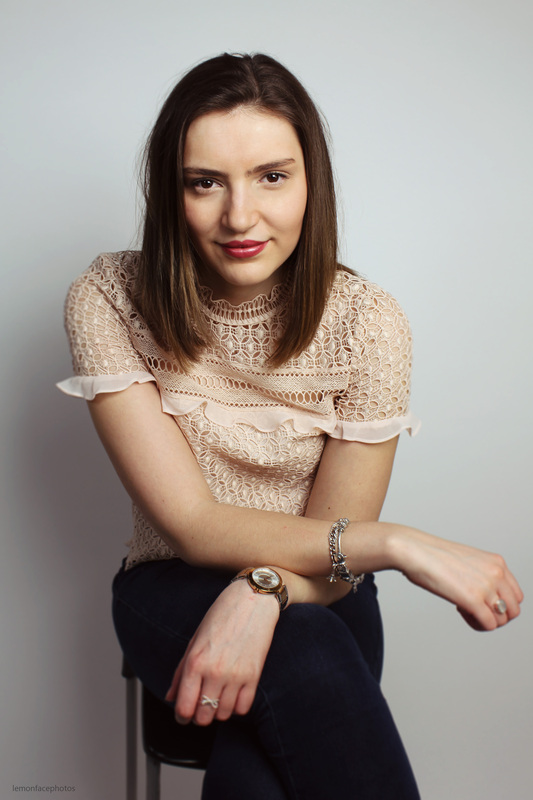 Bringing the essence of femininity to the performance is Sarah-Louise Young who takes on a number of female roles in the show, mainly the iconic female singers of that generation. Her vocals are sensational, with her portrayal of a female army officer being particular excellent as she empathised with young Stu and became a motherly figure. It’s an enthralling score that has both soft and powerful moments, a favourite being when photojournalist Artie, played by Chris Kiely introduces Stu to the secret language of the LGBT men through a tap dance number titled click. James Baker’s direction of the piece is sublime, and he manages to ensure a story that you can’t peel your eyes away from. Not to forget of course Chris Cuming’s choreography which is tight, slick and entirely relevant to the piece, bringing each musical number to life. Although I found a couple of the female songs a bit random, and the acting is so strong it may probably work better as a contemporary musical, there is a reason it is in the style of an MGM musical and I completely stand with that. The only way to make change and spur on LGBT theatre is to not make it a thing, and introduce it into all genres of theatre. “I’ve been three times and I think I’m going to have to come again,” says a young lady as walking out the theatre in front of me, and I can totally understand why. It feels fresher and smoother than it did in Manchester, but maintains the core message of the piece impeccably. Yank is important, moving and entirely entertaining – a genius piece of new musical theatre that should be seen by all. On at the Charing Cross Theatre until the 19th of August, tickets and information can be found here. Read my review of when the show opened in Manchester here.